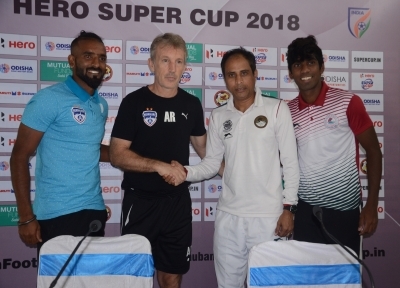 Bhubaneswar April 16 (IANS) A day before the Super Cup semi-final clash against Mohun Bagan Bengaluru FC Coach Alberto Roca described the opponents as a team with a "lot of character." "Mohun Bagan are a more difficult team than what we have faced so far in this tournament " Roca maintained at the official pre-match press conference. "They did well in both the matches and are one of the most historical teams in Indian Football with a lot of history on their side." "A lot has changed in both the teams this season. We will try to be better. But having said that it s not easy. It s a challenge for us to win tomorrow " he added. "We are not the favourites in this match. All the favourites have bowed out so far. So I don t want to be labelled as the favourite " he said in a jocular tone. The Spanish Coach also made a special mention of "leader" Sunil Chhetri. "Sunil is on a mission. The older he is getting the better he is becoming day by day. That s the way one should be. He is the National Team captain and are one of the leaders of the team. He always focusses on what he wants and reflects a lot of passion. 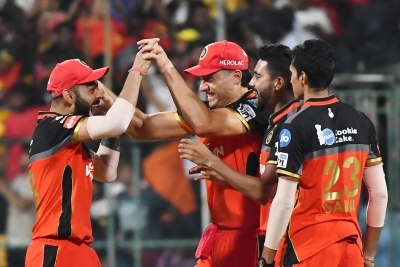 I am happy for him and to have Sunil in my team." Chhetri has been in splendid form this season scoring 17 goals so far in the Hero ISL and the Hero Super Cup which also includes two hat-tricks. Versatile player Harmanjot Singh Khabra who has perhaps played in almost every position in his career so far except the goalkeeping slot spoke at length about the "hard work" which Chhetri puts in. "Sunil Chhetri is our leader - that s the simple word that describes him perfectly. He is always on the job. What I have learnt from him is the hard work that he puts in. There are times when maybe the others have dropped a bit but he is always there giving his 100 percent " Khabra stated. 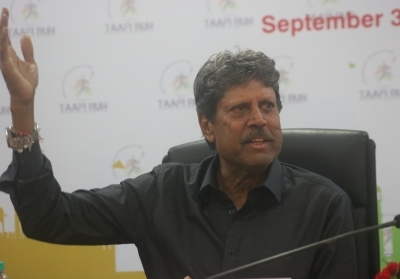 "There are a lot many youngsters in the Mohun Bagan squad. They are a very unpredictable side and have the talent. We need to be ready. It will be a tough challenge from the start " Khabra pronounced in one breath. Bengaluru FC will however miss the services of Rahul Bheke in the match. "He is injured and will miss out " Roca informed. "The difference among the teams is too less. If you are able to capitalise on the first or the second chance which you get the scenario will change then and there. Professionally we have a job to do on the field."